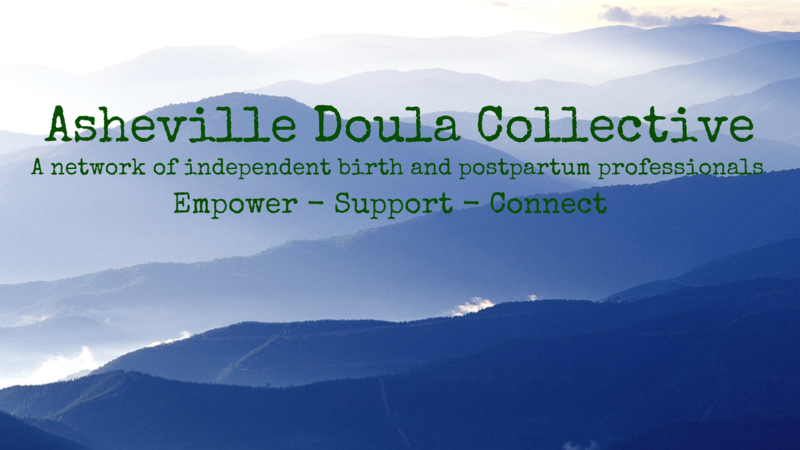 I am a proud member to Asheville area’s network of independent birth professionals, Asheville Doula Collective! We are a group of independent business owners that have joined together as professionals to empower each other, support our clients and businesses 24/7 and connect with our local community. We work as a collective by- providing back-up support, encouraging each others work, creating community in our profession and connecting with the local resources available to provide continuous support to the families we work with. If you are looking for reliable, quality care from pre-conception-parenting we are here to support your unique family. 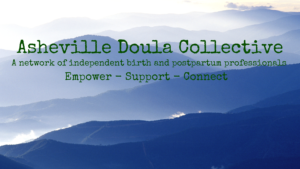 If you are a doula in Asheville, come join our village! All are welcome regardless of the collectives, cooperatives, agencies or other groups you are also a part of.